Please tell all your friends how you found a great resume to use that's already formatted for you and absolutely free. Now for easy downloading of this resume, our best choice is to open the file in your webbrowser and then choose file save as to your desktop. 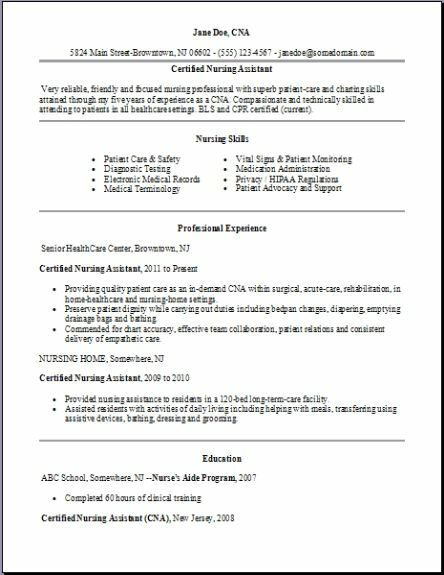 Why, finding this CNA resume will be very easy since it will be right there on your desktop so you will not have to hunt for it. 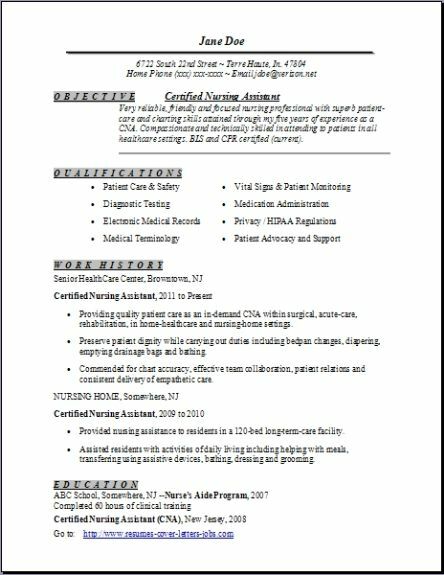 I highly recommend these 3 certified nursing assistant resume formats for you to use when completing your resume. These choices of format you have is great on the 3 CNA resumes above. They will be very appealing to any manager when they review your resume, and the great designs don't crowd your information. While Human Resources will be looking at your resume first, they will like the fact that the experience and skills section is easy to show them the skills they are looking for quickly and easily. 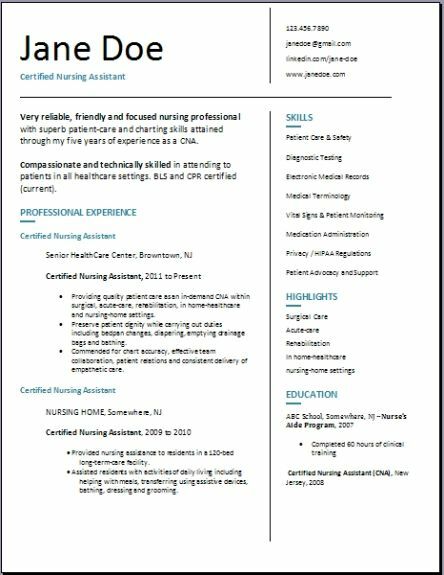 These free certified nursing assistant resume formats are professional and easy to read. That would be exactly a good reason to use these, so easy just to backspace and enter your own information, a really great resume design and a perfect layout of information will be yours. After you are done, then use our job search section to help you locate your job near you by entering your job title then your zip code when you start searching. Clean or bathe residents of the facility. Help the residents get dressed. Help unable patients use the rest room when needed. Transfer the patients in and out of wheelchairs. Make residents comfortable by assisting with turn and repositioning in bed. Report any health concerns the patient might have to the nurse in charge. Assist residents or patients by helping them eat any meals you serve them. Complete a state-approved education program. Pass their state’s competency exam. Passing this exam allows them to use state-specific titles. 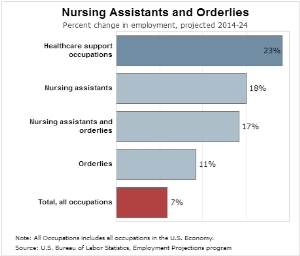 In some states, a nursing assistant or aide is called a Certified Nursing Assistant (CNA), but titles vary from state to state. Should have a broad knowledge on using the equipment and all tools provided on the job. Also how to take care of power or motorized equipment. Keep updated with all the newly released products and associate themselves with them. Needs safety related training on all equipment and knowing the hazards or consequences of using any tools incorrectly. If you are a CNA, this job requires a compassionate and empathetic attitude. Make some friends happy! Sharing.